The grand opening of the Patek Philippe & Rolex boutique in the Fashion & Museum district in the very heart of Amsterdam. In the Fashion & Museum District and specifically in the PC Hooftstraat, you will find the most exclusive shopping area of the Netherlands. All the major brands like Cartier, Chanel, Prada, Valentino and Jaeger-LeCoultre are represented here with fabulous shops and boutiques. 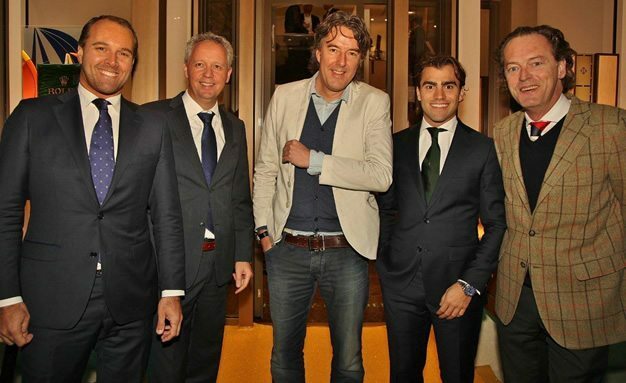 On the picture from left to right: Mike van Kinderen, Michiel Borstlap, Dennis Martens and Paul Meulemans. At the moment PRO SPORT Sport & Hospitality is working on a new project for companies that are situated in the Fashion & Museum District in Amsterdam.